Speedrunning remains as one of the most fun yet niche areas of gaming, with highly skilled enthusiasts achieving amazing things in classic titles, mostly of the retro variety. They can be great to watch, though it's also pleasing to be shown how it works on occasion, too. The hugely popular A+Start channel has been running a series of speedrun videos; though they're not world record times, they do provide a clear walkthrough on how these runs work, which is hugely helpful when they're reliant upon tricky glitch manipulation. The latest entry is for The Legend of Zelda: Link's Awakening, with the DX version used in the run. If you only have six minutes to clear the game, this is how you do it. I'm still not sure If I should get the game, I can redeem it from club Nintendo but can you play the game in anyway like link between world's on the 3ds? Personally, I only really like speed runs when's it's done without using any bugs/glitches. I like to watch someone playing through a game using pure skill, but to me, cheating kinda defeats the purpose—even though, in many cases, these speed runs still require a level of skill that's beyond 99.9% of gamers. I just don't think using a bug to skip a massive chunk of a game is really showing off how good someone is at actually playing through a game, and it's that skill, the mastery of the controls, puzzles, challenges, gameplay, enemies and bosses, etc., that I like to see personally. Link's Awakening is an amazing game. Every Nintendo fan should have played it. I remember beating the original Link's Awakening in less than half an hour by using the hardware-based "room edge glitch" to warp to everything needed, and then the final boss room, in a matter of minutes. It was fun to try out where you would end up or what you would break in the warped to room, since most every square of indoor rooms and outdoor areas in the game led somewhere different using that glitch. I didn't know any such skipping glitches were possible in the GBC version, though, since the ability for the original warp glitch to work was based on the slower processing speed of the original GB hardware. I'd thought all types of glitches were fixed with the newer hardware. The More You Know™! @James_mussell98 It might seem outdated today, but at the time, Link's Awakening was THE game which proved that portable consoles could create experiences which matched or even surpassed home consoles. It was always at #1 or #2 on the published popularity lists of GB titles throughout the 90s, until Pokemon came along. If you like classic Zelda titles, it's worth a trip down memory lane to see where the series roots came from. It's not really any lesser for it compared to many later titles. @James_mussell98 absolutely, get this game. It's one of the best Legend of Zelda games, easily the best Game Boy Color game, and belongs in most all-time best game lists. Challenging but not overwhelming; excellent localization with genuinely funny dialogue; memorable characters; excellent boss fights. And fun side-quests! You need to get it! Its in my top 3 Zelda games of all time. @James_mussell98 Even if you don't like Zelda you need to get this game. It's way better than A Link Between Worlds IMO. Bug speed runs are nifty and all, but I enjoy this game for it's awesome story. Hands down my favorite Zelda game! 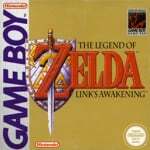 This is easily the best Gb/Gbc game for me, and one of the best Zelda games imho, I'd rank it even higher than OoT! But that's maybe due to the fact that it was my first game ever on my first consolle ever, the first model Game Boy! Anyway, I'm not a huge fan of speedruns, but I think there should be skill involved, this just feels like cheating.. Saw this at SGDQ 2015. @James_mussell98 I don't think so, if I remember correctly. It's still one heck of a game though! So if you want to try it, and there's nothing else on Club Nintendo you might want, then get! Club Nintendo has already ended in the Americas, and the European one is ending soon. So you better redeem those coins/stars for something. I remember one time I tried to use glitches to beat all the dungeons in the game... backwards. It actually worked quite fine through all of turtle rock, but the game kinda started coughing up during eagles tower, and somehow made it unbeatable. @Seacliff LOL yeah, The Eagle Tower is very tricky. To clear it using glitches, you have to transport to the instrument room just right from an appropriate area, so that you land at the top middle and can jump down to the Organ of Evening Calm. If you do it wrong, you can get stuck in the "boss room" at the top of Eagle's Tower on the right or left side, and become an Eagle picnic lunch! (Or be transported to screwed up glitch rooms, which, after exiting, sends you to the entrance outside the tower... Without the bridge being down, dooming you to either go back to last save or start over) Unfortunately, without the proper tools from earlier dungeons, the Mirror Shield must be skipped At least it's not essential to beat the game. I still prefer this (and the Seasons/Ages games) over pretty much every other Zelda game. Great self contained little adventures with a lot of charm and character, if anyone's still sitting on the fence then at least try one of them as they're all brilliant. @James_mussell98: Dude, this blows a link between worlds right out of the water! My #2 favorite zelda game only being edged out by the original NES game. Also check out oracle of seasons and oracle of ages. The poor guy got blue balls. I'll always think Link's Awakening is painfully overrated. Fun game, sure enough, but Zelda has has so much better to offer over the years in handheld games - without going further, I find Oracle of Ages to be vastly superior. But I'm digressing after reading the comments. The glitch here is pretty cool and wacky-looking, plus since it works on the DX version and does not require a lot of skill or getting very far into the game at all, I might actually try it out. @MussakkuLaden Well I certainly never beat any of the times in GoldenEye by looking at the floor, but then, I'm no speed runner. I can appreciate the guy's skill when fighting the boss at the end of that clip but not really just skipping over 90% of the game. Can this game be beaten in different orders or is it in a set order? Like Like mentioned link between world's I preferred it as I could start in one dungeon then go to whatever dungeon I want next or do I have to do what the game is said. And thanks to everyone for everyone saying to get this game, I may get this game as I love gameboy games over newer games. I may add it to my collection and will most likely get it before 30th September. @James_mussell98: The main dungeons in this game are in a set order. In Link's Awakening DX, there's an optional color dungeon that you can tackle as soon as you complete the second dungeon and obtain its item; however, it's easier to complete with the more items/hearts that you have. I personally prefer glitch-free speedruns. Link's Awakening has too enjoyable of a story to skip! @Kirk Okay, fair enough, thank you for not attacking the speedrunners while expressing your opinion about it. That said, I want you to go and try to do the speedrun shown in the video. I think you'll find it requires more skill to pull these glitches off at just the right time to get the fast speedrunning time than you think. @mjc0961 Of that I have no doubt. I remember playing this game over and over on the original GB. Hearing the symphony of all the instruments still makes me emotional. @Kirk Speedruns would never be interesting to watch if you weren't allowed to use skips. It would take more than 6 hours at least for some games. Would you sit around and watch for that long? I can barely stand a "speedrun" that is over 3 hours unless it is for a game I really enjoyed. @Senario Well that doesn't change the way I personally think of them. If I see the words "speed run" then I'd like to see the guy actually playing through the game in the fastest time and showing off their skillz—not just skipping through most of the game. It doesn't really mean much to me when someone just hacks and cheats their way through a game. I mean, why not just literally hack the game and skip right to the end? Now THAT would be a fast "speed run", right? The fun for me personally, IS actually seeing the game—generally the whole game. If the particular game happens to be tens of hours long then so be it. I'd just watch it in sessions, or maybe just not watch every single second of the playthrough if it's going to take tens of hours. The main point here, however, is that I actually enjoy watching people playing and completing games with great skill, but not so much just exploiting an unintentional bug/glitch to basically avoid playing most of the game. It's like when I see a tool assisted world record completion time of Super Mario World, or whatever game. I simply don't even count that. A world record, for me, should be how quickly someone actually plays through the game, using their actual skill at beating the levels and overcoming the challenges that were intended to be completed as per the actual original game design. What's even more frustrating it how hard it is to actually go and simply find the world record completion time for Super Mario World without any tools or glitching involved. Now that is very sad, that I can't even find a proper/official world record completion time for a game like Super Mario World without a crap load of hassle. In fact, I'm still not even sure I've actually found it to date. It's so convoluted and confusing just trying to figure out what is the genuine world record speed run of the game without using any tools, bugs/glitches, or whatever.